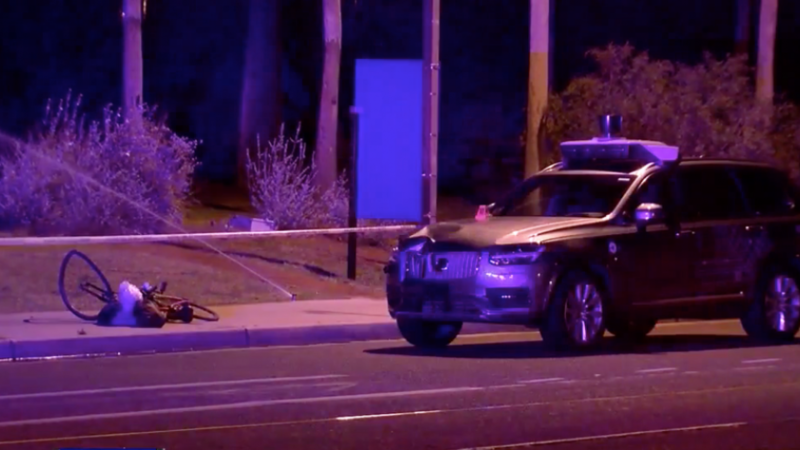 San Francisco, March 20 (IANS) A self-driving Volvo SUV from the ride-hailing giant Uber traveling at 64 km per hour has killed a woman in the US state of Arizona, triggering a heated debate on whether autonomous cars are safe enough and who is to blame for the death. Social media users expressed sadness and regret for the death of 49-year-old Elaine Herzberg, who was pushing her bicycle across the street in Tempe City when she was hit by the Uber self-driving vehicle on Sunday, Xinhua news agency reported on Tuesday. According to Tempe police, the victim was walking outside of the crosswalk when she was hit by the car, which was in autonomous mode at that time although a vehicle operator was behind the wheel. The woman was taken to a hospital where she died from her injuries. Reaction was strong and diverse across the US especially in the west, where Arizona, California and Utah had been vying to become the first American state to allow widespread use of self-driving cars by the end of 2018. The argument that cars driven by people cause thousands of deaths a year was one of many used by a majority of Americans who defended the fledgling self-driving car industry. Voices of concern on social media noted that forthcoming details of the tragedy will reveal every possible angle and explanation for what transpired. “This will probably be the most well-documented and studied car-on-pedestrian crash in history,” “Ignatius 345” wrote on MacRumors forum. “It’s important to remember that the car probably recorded this accident in extreme detail and we’ll know exactly what happened soon enough,” wrote Nela K on ArsTechnica, a tech news and analysis website. From across the Atlantic Ocean in England, industry experts voiced dismay but hoped that self-driving car progress and adaptation will not be slowed. Still, most bloggers were looking for solutions and not to point blame for the terrible event — the first time a person was killed by a self-driving car, the New York Times reported. Autonomous vehicles from Uber have been operating in Arizona since February of 2017, part of a national series of tests of autonomous vehicles. In 2016, Joshua Brown, 40, of Ohio was killed when his Tesla Model S electric sedan crashed into a tractor-trailer while reportedly in autopilot mode.